Pablo Picasso’s artwork Three Musicians . Picasso was one of the artists who coined the term collage in the beginning of the 20th century and it still is a popular art term used today! 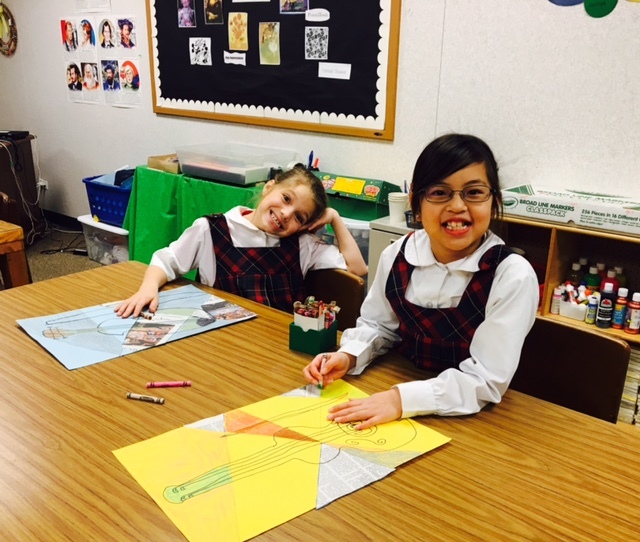 Each student draws a musical instrument while incorporating a variety of art materials. The students in fourth grade are learning about Marc Chagall’s stained glass windows. 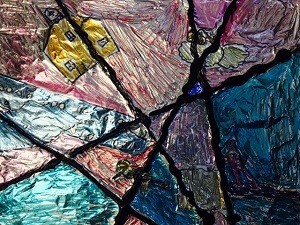 In their project, students are assigned to color with markers on top of foil to create the illusion of stained glass. The subject matter of Chagall’s work often appears dreamlike, with unbalanced proportions and placement of figures. Students are creating their own dreamlike scene with subjects that are important to them. 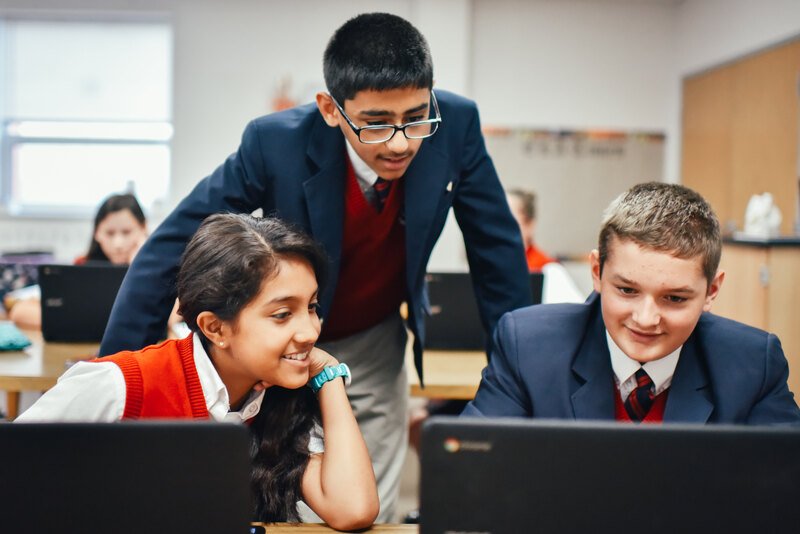 The 5th grade students are creating plaster gauze sculptures in reference to The Discus Thrower, a sculpture created by a Greek artist named Myron. Myron was one of the first artists to create a sculpture that displays action and movement. Students have been instructed to create a sculpture that displays an action of their choice. Depicted in motion are gymnasts, basketball players, dancers, etc… all represented within their class. The sculpture was initially constructed out of foil and layered over top with plaster gauze, using a tuna can as its base! The students enthusiasm is infectious when working with these materials! These are only a few highlights of the projects ELA students have made. As you walk through the East Lake hallways, please take a moment to view them with your children. I am so proud of all their hard work!